1. 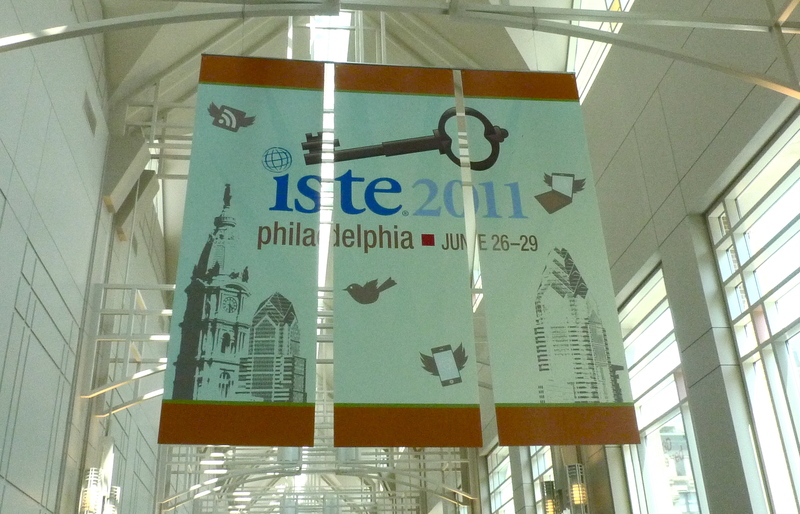 Overwhelmed– This was my first time at the ISTE (International Society for Technology in Education) conference. This is a huge conference with about 20,000 educators coming from all over the world. 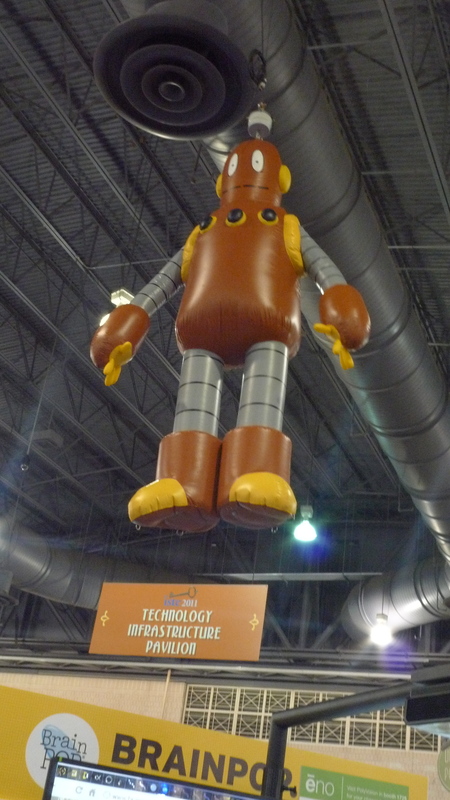 It was held at the Philadelphia Convention Center which spreads across many blocks of Philly. Everything about it was a bit overwhelming from the hundreds of different workshops, seminars, keynotes , courses being offered to the incredibly huge exhibition center. I tried to make the first keynote from John Medina on Sunday evening, but arrived a bit late, and there was no more seating left. I was standing trying to get a view of the small screen in the blogger’s cafe. I ended up listening to the keynote again a few days later by watching a recording on youtube (starts around the 30minute mark). I’m going to by his book Brain Rules. 2. Inspired– I love listening to keynotes at huge conferences for educators, because I am always so incredibly refreshed, rejuvenated, and inspired to become a better teacher. It’s a good thing I carry my tissues around with me during these conferences. I was incredibly inspired by the keynote on Tuesday morning, with Stephen Covey, Muriel Summer and her two fifth grade students. I was completely blown away by the speeches her fifth grade students gave. They were eloquent, well thought out, and confident in front of thousands of TEACHERS! It is always such a treat to hear from actual students. It makes such a difference. This keynote really inspired me to focus more on nurturing my students to become leaders! 3. Resources– I feel like I gained so many new ideas and resources through out this entire conference. 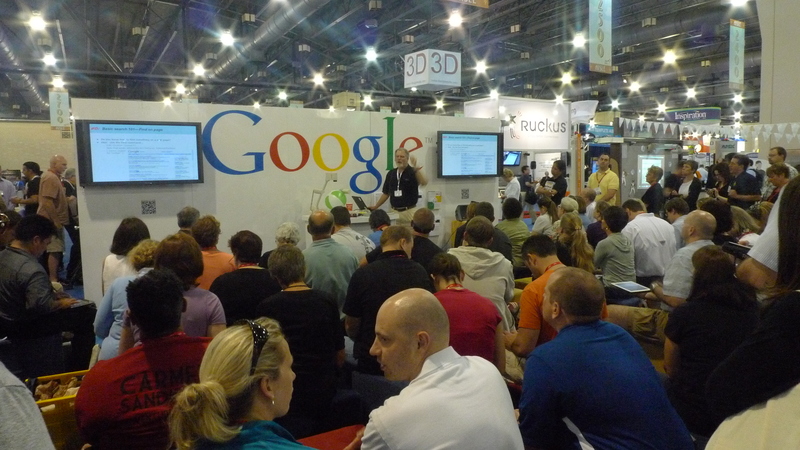 I loved learning things from the google workshops on google applications for the classroom. I also gained a lot of great resources on having eportfolios for your students and also ways to use Twitter in the classroom. I also saw a lot of great student and teacher presentations on different projects that people do in their classroom. I did tweet a lot of the different website and links I got, but I will try to put them together on a post for everyone as well soon! Now the learning doesn’t stop here, what’s more important is how I actually plan to implement what I learned to my classroom. 1. Connect with other schools to participate in a global collaboration project. 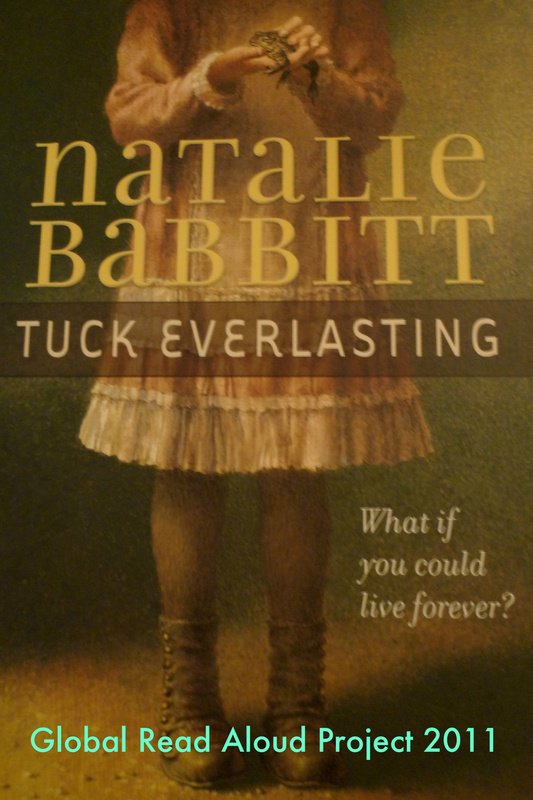 I’ve already signed up to join the Global Read Aloud Project! You can still sign up. I’m also hoping for a collaboration project unit for science and/or social studies with other 5th grade classes. If you are interested, leave a comment! 2. Use google applications to increase collaboration between my students, parents and staff. I will post more on this soon! 3. Share with my staff and PLN(personal learning network) about what I learned through the conference. My first step is to blog a few different entries about what I learned. This is my first one, and I plan another one on using Google and promoting student leadership. 4. Research and come up with a plan to incorporate electronic portfolios with my students next year.